[toc]Abrasions in the skin are caused when there are some cuts and scratches in the skin due to having sustained an injury due to having fallen down or scraped a body part. Abrasions can be treated using antiseptic medication. Herbs can be used alongside to make the recovery process faster. Some of the best herbal remedies for abrasions are Calendula, St. John’s Wort, Plantain, Garlic, Chamomile, Lavender, Geranium, Rosemary, Marshmallow, Chamomile, Echinacea, Wormwood, Goldenseal, Oregon Grape, Juniper, Arnica, Gotu Kola, Aloe Vera, Arnica and Yarrow. Some of these herbs are analgesic and are helpful in relieving the pain. Others stop the bleeding while some of these herbs also contain astringent and antiseptic properties. 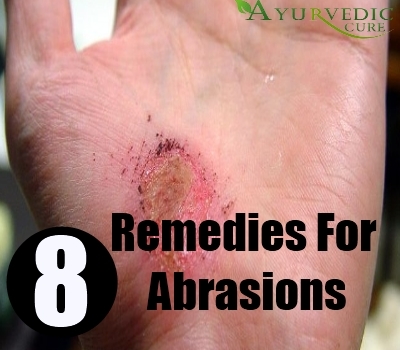 This article will discuss some of the most useful herbal remedies for healing abrasions. Aloe Vera is antifungal, antibacterial, antimicrobial, anti-inflammatory as well as a natural antiseptic. Due to its curative properties, it is very good for treating abrasions. 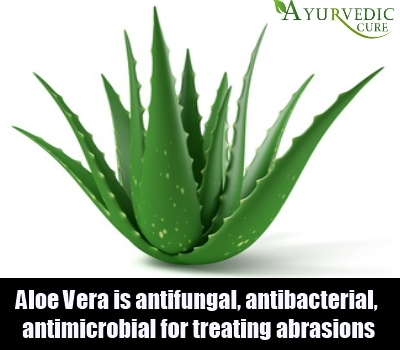 As it is an antiseptic, it heals the abrasions and prevents them from getting infected. Aloe Vera also soothes and repairs the skin due to the presence of polysaccharides and glycoproteins in this herb. You can extract the gel of this herb from the inner mucilaginous lining of its leaves and apply this directly to the area where the skin abrasion is located. Aloe Vera helps to make the skin unblemished and also eases the pain. You can also apply the extract of this herb on the skin to cure the abrasion. Aloe Vera is so effective in treating abrasions that it is part of many ointments and creams. Calendula Officinalis is the botanical name of this herb. It is also referred to as Pot Marigold. Calendula is known for its ability to heal wounds and abrasions. 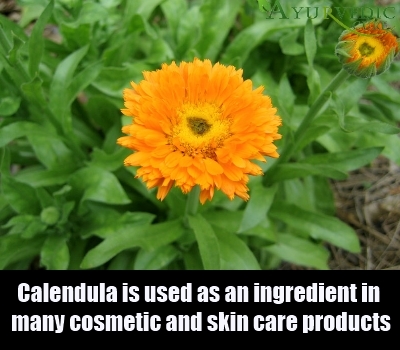 Due to its ability to heal the skin of any abrasions, cuts, scratches or blemishes, Calendula is used as an ingredient in many cosmetic and skin care products. You can soak the flower and leaves of this herb in hot water for about 20 to 30 minutes. During this time period, the water absorbs the healing powers of Calendula. Then, you can dip a compress in this Calendula infused water and apply it to the abrasion for quick relief. 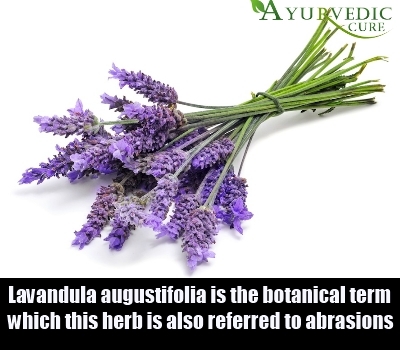 Lavandula Augustifolia is the botanical term by which this herb is also referred to. Lavender is a herb with many curative powers. It relieves pain and relaxes the body. Lavender oil is especially effective in lubricating the skin and preventing the dryness associated with abrasions. Lavender oil is also antiseptic so it can be used to ensure speedy healing of the abrasion. You must dilute Lavender oil by adding some Almond, Avocado or Olive oil to it before applying it to your skin to treat the abrasion. You can even use the tincture of this herb directly on the skin. Make sure you dilute the tincture before applying it. Allium Sativum is the Latin term used to refer to this herb. Garlic is primarily a culinary herb and it contains many substances such as allicin, alliin and ajoene which heal the skin and speed up the recovery process for persons with abrasions on their skin. 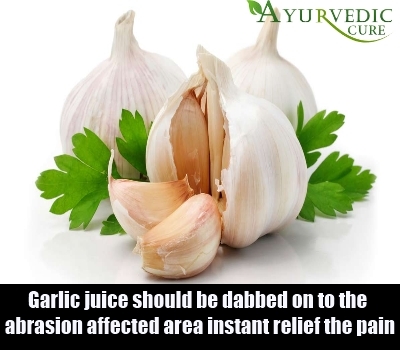 Garlic juice should be dabbed on to the abrasion affected area to get instant relief from the pain and the possibility of infection because allicin found in this herb gives it antiseptic properties. In fact, Garlic juice has been found to be as potent as the medicine Penicillin. Garlic cloves can be crushed in order to extract the raw juice from them. Topical application works best though you can also eat raw cloves to ensure relief from abrasions. 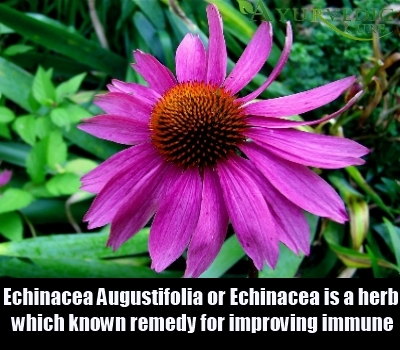 Echinacea Augustifolia or Echinacea is a herb which is a well known remedy for improving immune system functioning. Echinacea contains chemical compounds which increase the number of white blood cells in the body. This helps to counter infections. You can make tea from the root of this herb and apply it externally to the area which is affected by the abrasion. This ensures that the abrasion does not get infected. It also promotes quick healing of the abrasion as it improves the ability of the body to repair and recover from the damage to the skin faster. You can also take the root and boil it in water. Let the mixture remain untouched for about 30 minutes and then dab it onto a cotton swab and apply it on the abrasion. Both ways of using this herb work equally well. The Latin name of this herb is Plantago Lanceolata. It is also referred to as Common Plantain. Plantain contains several substances which make it very beneficial for treating abrasions. Mucilage found in Plantain leaves coats the skin and soothes the abrasion. 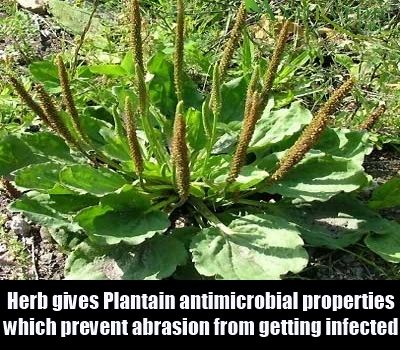 A substance called allantoin found in this herb speeds up the healing process and aucubin present in this herb gives Plantain antimicrobial properties which prevent the abrasion from getting infected. Plantain leaves should be crushed and mixed with water into paste like consistency. This paste should then be applied to the abrasion to promote speedy recovery. Seeds of this herb are also of medicinal value. You can crush the seeds into a fine powder after roasting them and mix some Olive oil into this powder. Then you can apply this mixture directly on the skin where the abrasion has formed. This herb is known botanically as Hypericum Perforatum. St. John’s Wort is also known as Klamath Weed. This herb is best known as a cure for depression. But, it also has curative powers which make it beneficial for healing abrasions. One of its active ingredients called hypericin is anti-inflammatory and pain relieving, making this herb very effective in treating abrasions. Applying a tincture or oil made from this herb can soothe the skin and relieve pain and swelling caused due to abrasions. To make the oil from St. John’s Wort, you need to crush the flowering tops of this herb and soak it in a jar full of Olive or Avocado oil. Let the jar remain untouched for about 2 to 3 weeks and then remove the lid of the jar. Apply this oil on the skin for instant relief. This herb is botanically referred to as Achillea Millefolium. Its botanical name is given to denote the importance of this herb in stopping bleeding in cuts, wounds and abrasions. Legend has it that Greek hero Achilles used this herb to stop bleeding in injured soldiers during battles. Therefore, this herb is named after him. 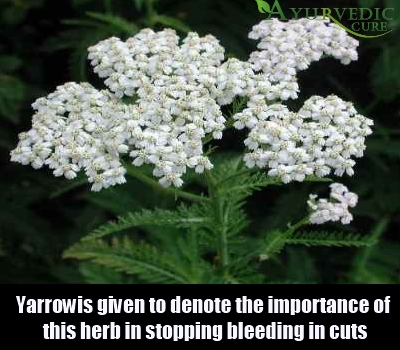 Yarrow has been used since ancient times to cure wounds and speed up the healing process for abrasions as well. The leaves of this herb can be ground into a paste and applied on the abrasion directly for relief from the pain and bleeding. Yarrow tincture or extract can also be used as a herbal remedy for abrasions.